Hello, today I am very happy to introduce you to a product I discovered in a French pharmacy 2 years ago already. I call it my “secret product” in my head, because nobody talks about it although it is pretty impressive and affordable at the same time. I found about it as I was looking for a manual scrub. As per the indications it is a two-in-one; it acts as a daily mask and an exfoliant that you can use a few times a week. I was looking for a scrub so that is how I used it the first time and I was not impressed at all. The beats are too tiny to be efficient for my thick skin but I have to say I am sure it works great on thin and fragile skin. For that reason I did not use it again for several months until one day I decided to finish up all of the products that I had barely used. That time I tested the efficiency of the so called « daily mask ». I used it one evening and did not feel anything special. I used it the evening after and the next morning my skin was smoother and my large pores smaller so I used it again the following night and tada!!! 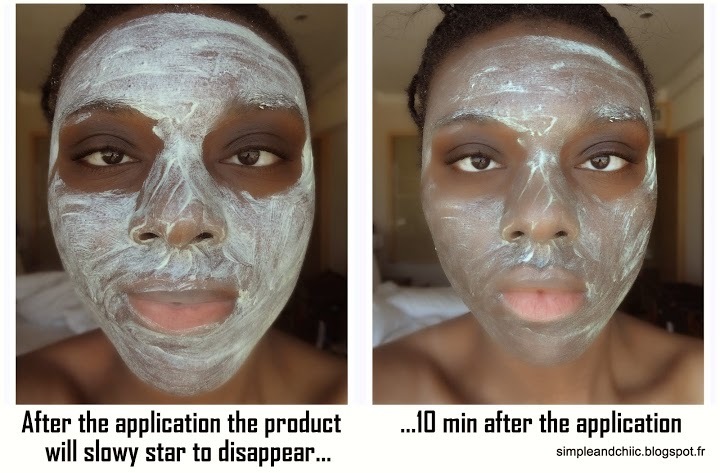 I finally understood how this product works. First they called it a daily mask for a good reason. In addition to the benefits mentioned earlier; over time I have also noticed less and less blackheads. I have them on very rare occasions now. My final word is that I love this product, it does what it is supposed to do and for an affordable price. Will I buy again? Yes and it has been done already several times.